Photo copyright Manava Beach Resort and Spa. 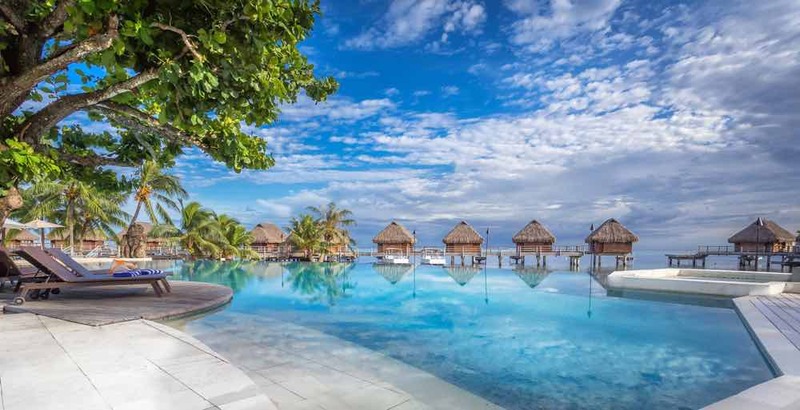 The resort offers a range of spacious garden rooms, beachfront suites and romantic overwater villas, creating an atmosphere where both couples and families can peacefully coexist. Each overwater bungalow provides a large sundeck with direct access to the lagoon for incredible snorkeling, while each garden bungalow features a backyard with private plunge pool. The resort is also home to the largest infinity pool on the island. Other guest amenities include a poolside bar and restaurant, dive center, and activities desk with a range of excursions available.